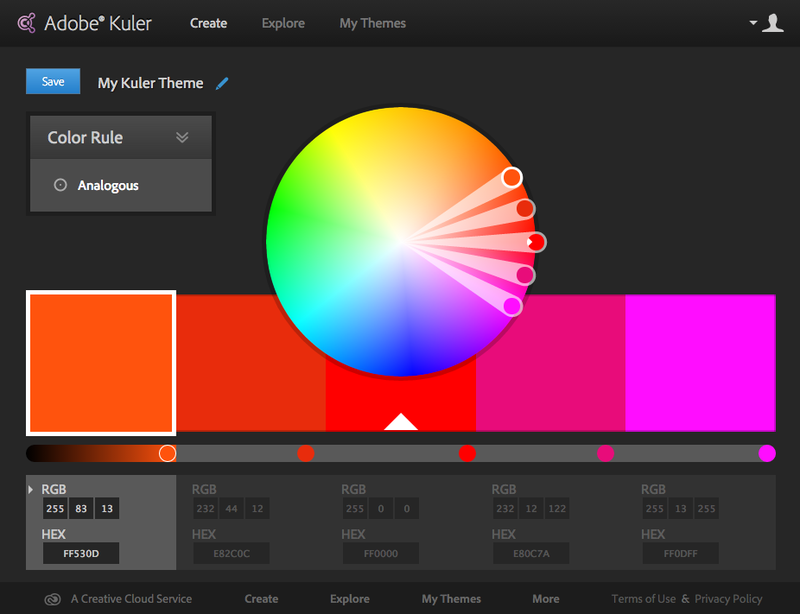 Years ago, Adobe introduced us to kuler (rhymes with "cooler") -- a website that allowed creatives to dream up and share combinations of color. The technology was part of what would ultimately become a new powerful color engine inside of Illustrator. At the time, Illustrator provided hooks to connect to kuler through a panel, allowing you to search for shared color themes from directly within Illustrator. Since then, Illustrator has gone through some pretty big changes, especially so with the release of Adobe Creative Cloud and the version now affectionately known as Illustrator CC. Meanwhile, kuler has gone through an extreme makeover. Last month, the kuler website was completely changed offering a totally new user experience. While some functionality has been removed (i.e. 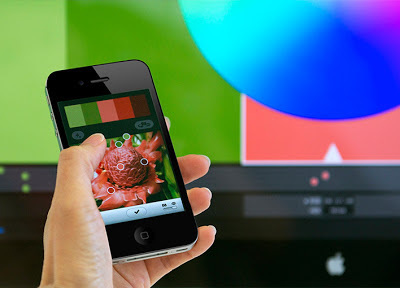 creating themes from images, color analytics), the site is easier to use and navigate. Adobe also introduced an all-new iPhone app for kuler. The app quickly makes you forget that you can't upload images to the kuler website anymore, because you can use your phone's camera to quickly generate themes of colors from virtually anything you encounter in the real world. Keeping all this in mind, you'll notice that some things have changed in regard to kuler with Illustrator CC. You still have a kuler panel in Illustrator, but it has been redesigned and offers different functionality. To access the new kuler panel in Illustrator CC, choose Window > Kuler. That's right -- the panel is now integrated directly into Illustrator proper, and you no longer need to look in the Extensions submenu. There's even an icon in the Swatches panel to open the kuler panel directly. You can also simply click on a color theme in the kuler panel and it will immediately be added to your document's swatches. Better yet, if you have an object selected on your artboard, you can click on any color in the kuler panel to apply it to your art. 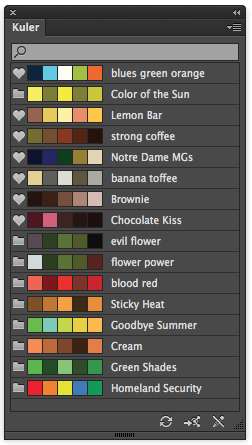 The behavior mimics how Pantone libraries have always worked in Illustrator. You no longer have the ability to search all of kuler for color themes that interest you. That's because the job of the kuler panel in Illustrator is meant to store your own color themes. With Illustrator CC, you're always logged into your Creative Cloud account, which is tied to your kuler account. So your color themes are always synced and ready for you. The kuler panel will display themes that either you've created and saved (indicated by a folder icon), or themes that you've favorited (indicated by a heart icon). So what do you think of the new kuler website? The kuler iPhone app? The new integration with Illustrator CC? Let me and your closest friends know by commenting below! Hi, your page was first hit when queried "Kuler no longer" from with the AppFrame within IllyCC. Anyway, I'm sad that they took out the searchable repositories of online Kuler… it was an easy AI diversion to search other peoples color moods and a have army of colorists to fall back on and draw inspiration from; to type a keyword and get back several palettes of strawberries. Ah well, at least it was you Mordy to break the bad news-that made it a bit easier. Keep up the good work! Having to go the the Kuler web site, search and then favorite a theme slows down and breaks the workflow too much for me. Of course, your mileage may vary.